EFFETEC NEWS 2018 - Effetec s.r.o. This summer is one of the busiest in Effetec history, in Effetec we are building customised printers and it is a big successs. 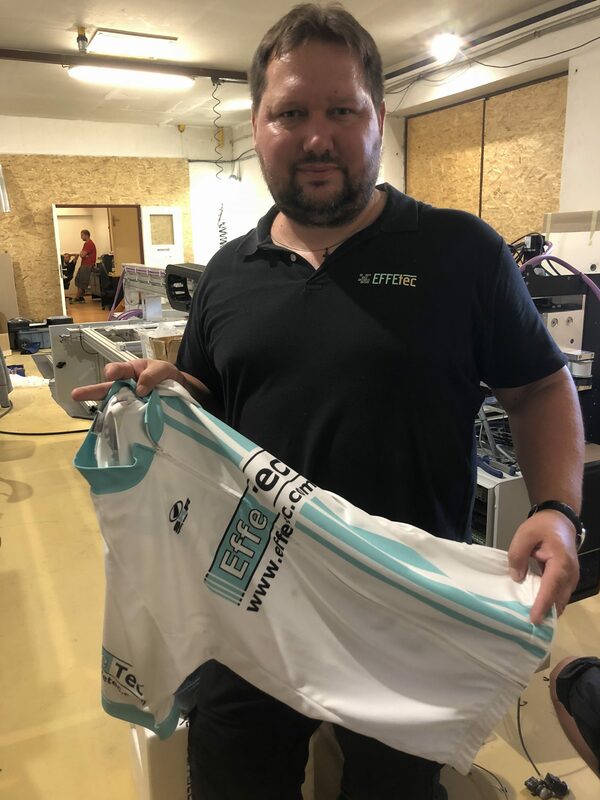 We are now building a digital UV flatbed printer for metalic substrate 3.2 x 8.4meters , for food, for printing barcodes etct.Effetec also co-operates with schools in polygraphy and universties with many projects. We have now moved to our own premises in April 2018, this allows us to build the customised printers plus have a demo room , store, CNC milling machines etc. What you will also know Effetec as a company always supports sport, specially women road cycling. One of the members of the Effetec team who is also fortunately one of the owners, Michal Frantik is a big fan of sport cycling. 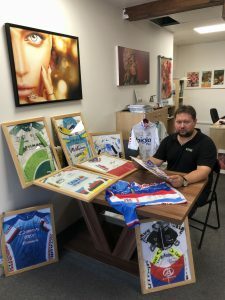 This year I am personaly close as cycling manager with two young riders Marketa Hajkova and Veronika Jandova, they are still in women junior category , respectively Marketa will be next year in women elite category and I have to say, that they really work hard and they do the best to achieve success. When I was talking to them, I just remember our company and I know how is difficult to be small with full of energy and hard working people and to have against us big international competitor. 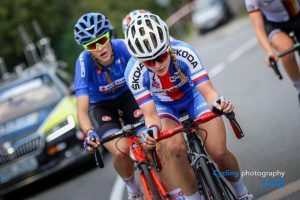 But we know as these women on the bike, that everything is possible, just you have to continually work hard and that success will follow you. 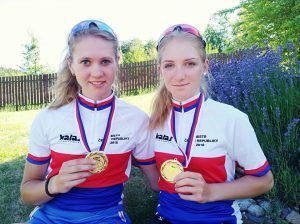 And I have to say Marketa and Veronika are very talented young riders , we can say one of the best in Czech Republic in this category Marketa is two time Czech Champion in ITT and TT for Two and on road she was second in European Championship in ITT she was close to TOP TEN she was 12 and Veronika in European Championship she was in road race at 7th place in the group which went for the medal which was very close to her and ITT she was on the13th place. 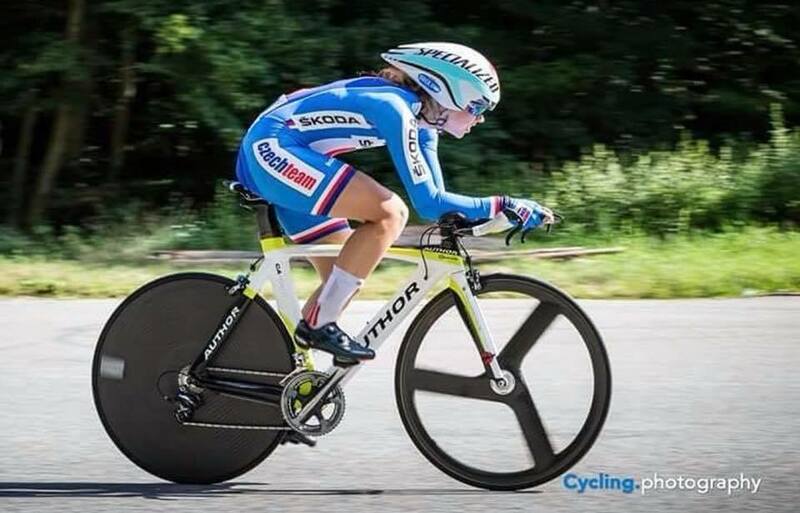 In Czech Championship on road race ITT she was third and TT for two she won the race with Marketa. So in the end if you count that , they have everything in the front. So in the end the philosopy of life, work or sport is the same. If you working hard, you have possibility to grow and be successfull. For that I personally help them to have a little open door to grow up in life and cycling. Then second thing why we are all the time close to sport, because sport positively drive people and also teach them for “fair play“. And one of the last thing also I remember the time, when I was young and people around me gave me a helping hand in sports, in business and now I try to give this back to these young riders. These are all jerseys mean something special to me. 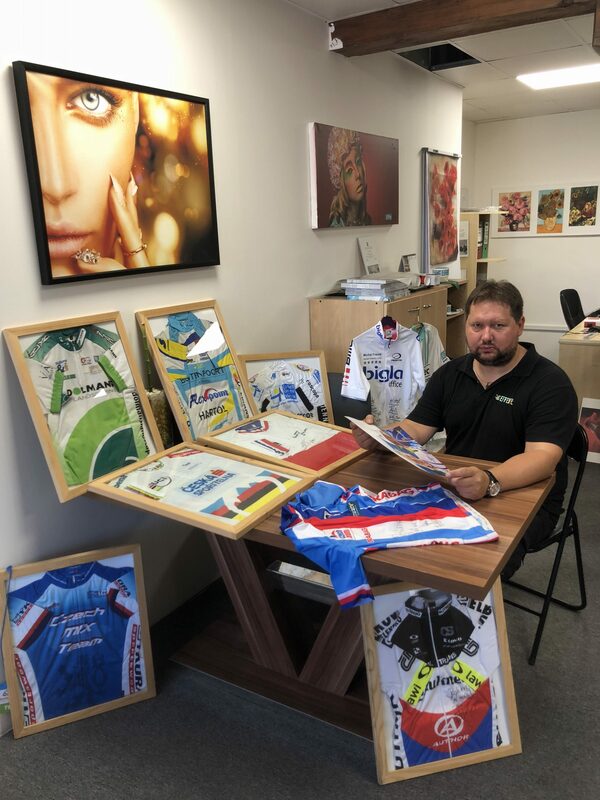 For example Bigla jersey is from Katarina Hranaiova when she was with the team, world champions jersey i received from Tereza Hurikova (Nemcova) when she participated in the race which I organised, Flexpoint is from Lada Kozlikova (Usnulova) when she was in the team etc.